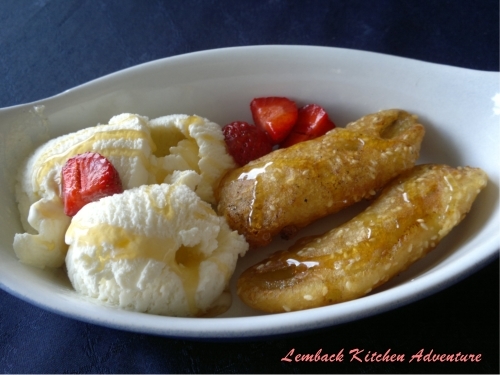 Welcoming summer with home-made fried banana and ice cream topped with strawberries and syrup. Hmm! It’s hubby’s favorite dessert on warm days and I’m always willing to prepare this after dinner. It’s quite a hard work frying the bananas but it’s so yummy I can’t just help it. It goes well with coffee in the living room.